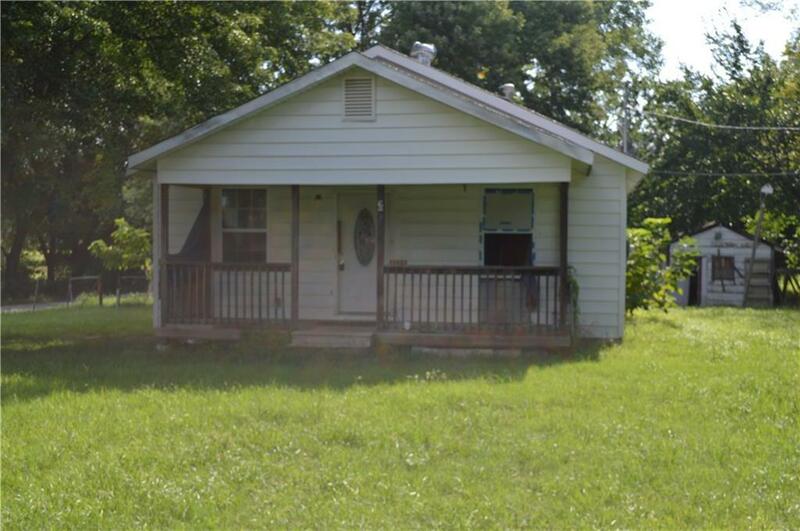 This bungalow sits on a large corner lot with a covered front porch and a big back porch/deck. The outside features a storage building and a detached garage/shop. Both the living room and kitchen are spacious and there is extra storage in the attic. Buyer to verify all information at their own expense including a survey if choosing to determine the exact acreage and/or property lines. Exempt from disclosures/disclaimers. Property needs work. Listing office does not have any information on property condition, title history, or needed repairs. This is an REO property being sold strictly as-is with all faults. No pre-closing repairs will be made by any party for any reason.